What Is The Difference Between A Deferred Judgement And A DUI Conviction? Sometimes, when you’re charged with driving under the influence, you’ll be offered a dispensation known as deferred judgement, sometimes known as Probation Before Judgement (PBJ). These cases are very similar to being under probation for other charges. You’ll be assigned a set of rules and regulations, often including some measure of community service as well, and so long as you adhere to these stipulations, you won’t actually be convicted of a DUI. There are both advantages and disadvantages to having a deferred judgement, although in either case, it’s still better than an outright DUI conviction. PBJ is not a DUI conviction, and because you’re not being convicted, you’re under no obligations to report it to your employer, which can help protect your livelihood. A deferred judgement also goes a long way towards helping your case with the MVA. When you’re given a deferred judgement, you won’t receive the points on your license, as well as being able to maintain your driving privileges. In the cases where your license is suspended, you’ll have a better chance of being able to apply for a restricted driver’s license. A deferred judgement also means you won’t have to report a DUI conviction to your automotive insurance provider which helps to keep your monthly premiums from increasing. While it’s preferable to being convicted, a deferred judgement also has some significant drawbacks. A deferred judgement is non-expungeable, meaning that it will remain on your personal record for the rest of your life. While it’s not reportable as a conviction, having a deferred judgement on your record can jeopardize your ability to find work in the future, especially those that involve having a security clearance as your employer will be able to access this information with a background check. The other issue to having a deferred judgement is that, when asked, you will still have to admit to it. This can be an issue with a number of different insurance companies resulting in higher premiums or dropped coverage. Deferred judgement is certainly preferable to being convicted of a DUI however, a deferred judgement should always be a last resort. If you’ve been charged with driving under the influence, then it’s important that you hire an experienced DUI defense attorney, even if your state offers the option for deferred judgement. 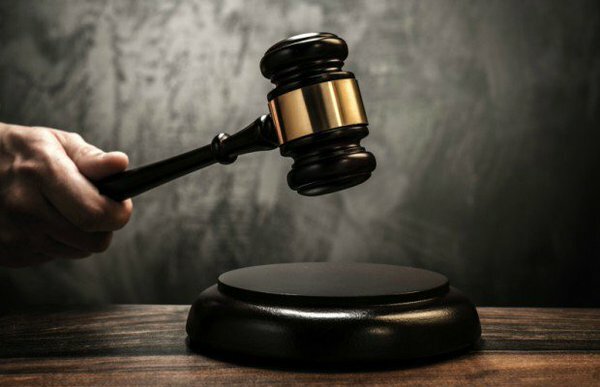 With the help of an experienced and skilled attorney, you stand the chance of winning your case in court. However, that only occurs when working with an attorney who understand the science behind blood alcohol (BAC) testing, as well as both state and federal DUI laws. An attorney will often be able to find, present and ultimately defend a viable defense for your case, which improves your chances of getting a favorable outcome for your case. Remember, a DUI charge is a very serious matter and will leaving a long lasting, negative impression on the rest of your life. Protect yourself from these charges and the consequences that come with them by hiring a DUI defense attorney to represent your case. <a href=”https://plus.google.com/107763070938594779751“>+Andrew</a> is one of the leading DUI and criminal defense attorneys in both the state of Maryland and the District of Columbia. He blogs about Maryland DUI law, has numerous videos on the subject and has been asked to appear on national television to offer his legal opinion on high-profile criminal cases. How To Find Online Automotive Writing Jobs?